Located in the 21st to 25th floor of the prestigious Four Seasons Hotel, Four Seasons Residences’ features 64 condos with a central Downtown Houston location, just a few blocks from shopping and dining establishments, as well as sports and cultural venues. Four Seasons Residences features a great Downtown location, personal round the clock service services and 5-star hotel amenities. FULL-SERVICE HOTEL AMENITIES: The Four Seasons Residences features luxury condos located within the top 5 floors of Four Seasons Hotel, Houston’s first AAA Five-Diamond hotel. Condo owners have 24/7 access to its full line of luxury hotel services and amenities. Residents benefit from concierge, valet, door staff, business center and in-room dining. Additional services include daily housekeeping, same-day laundry services, and complimentary house car transport. Residents also enjoy amenities like the fitness center, wellness spa with luxury nail salon, and resort-style outdoor pool and whirlpool. UPSCALE RESIDENCES: Overlooking the Downtown skyline, the Four Seasons Residences features 64 condos with elegant interior designs, modern furnishings, and top-of-the-line appliances. The residences have a separate entrance from the hotel, a private lobby, a front desk, and an elevator service. Available in one- and two-bedroom floor plans, the units feature travertine tile floors, custom-made furniture, plasma televisions, stainless steel appliances, and opulent marble vanities. GREAT DINING OPTIONS: Four Seasons Residences provides condo owners a variety of dining options. 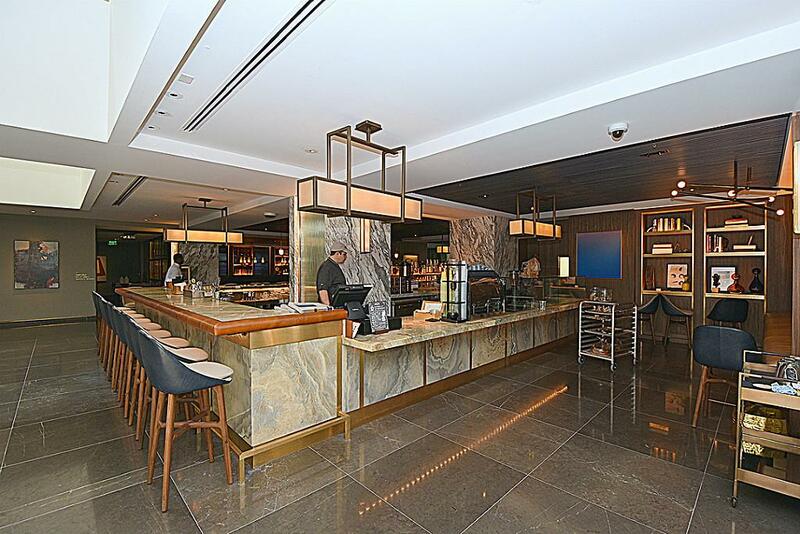 The hotel features Quattro Restaurant, Vinoteca Wine Bar and 24-hour in-room dining. Quattro Restaurant, four in Italian, is located on the 3rd floor of the hotel. One of Houston’s best restaurants, Quattro serves authentic Italian cuisine. 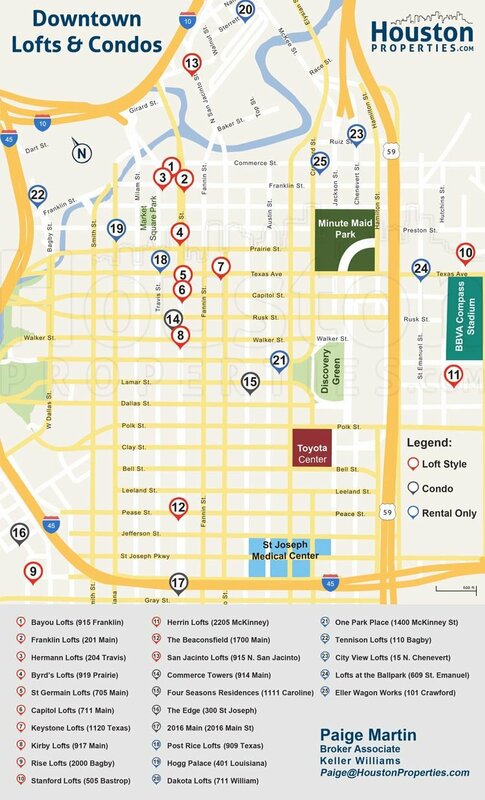 Residents are also few minutes away from Downtown’s world-class restaurants like House of Blues, Lawry’s, McCormick & Schmick’s, Yao’s Restaurant, among others. CENTRAL BUSINESS CENTER: Four Seasons Residences’ central Downtown location allows easy and short commute to Houston’s largest employment center. Downtown houses more than 3,500 large company with over 150,000 employees. 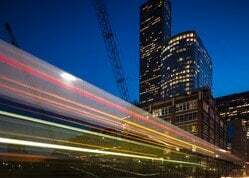 The business district is home to the headquarters of some multinational companies like Calpine, Shell Oil Company, and Total. CULTURAL ATTRACTIONS: Located few blocks from Four Seasons Residences, Downtown’s Theater District is one of Houston’s most impressive cultural centers. The district features nine renowned performing arts organizations in four venues: Jones Hall, Wortham Theater Center, Alley Theatre and Hobby Center for the Performing Arts. Residents are also minutes away from Museum District, home to 19 cultural centers and museums that promote history, culture, art and science. ENTERTAINMENT: Located just across the street from the Four Seasons building, the 12-acre Discovery Green features a multi-use amphitheater and interactive water fountain. Green Street, just 2 blocks away, is a mixed-use development that features retail, dining and entertainment venues. Downtown is also home to pro sports team Astros and Houston Rockets. Popular sports venues Minute Maid Park Stadium and Toyota Center are 0.6 and 0.3 mile away from Four Seasons building, respectively. 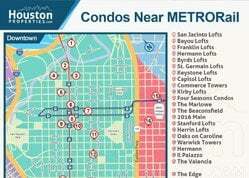 METRORAIL ACCESS: Most Downtown Condos are near the METRORail. The nearest MetroRail stop from Four Seasons Residences is Main Street station, located 3 blocks from the building. The 13-mile Red Line runs from Fannin South Station through downtown along Main Street through the Museum District, the Texas Medical Center, University of Houston-Downtown, and ends at the Northline Transit Center/Houston Community College. Buying in Four Seasons Residences can be tricky for several reasons. 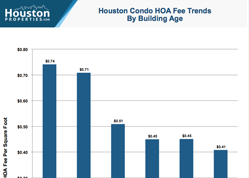 The building’s HOA fee is one of the highest in the city. Also, the building is over 30 years old. There are many comparable newer residential highrises within the Downtown area. 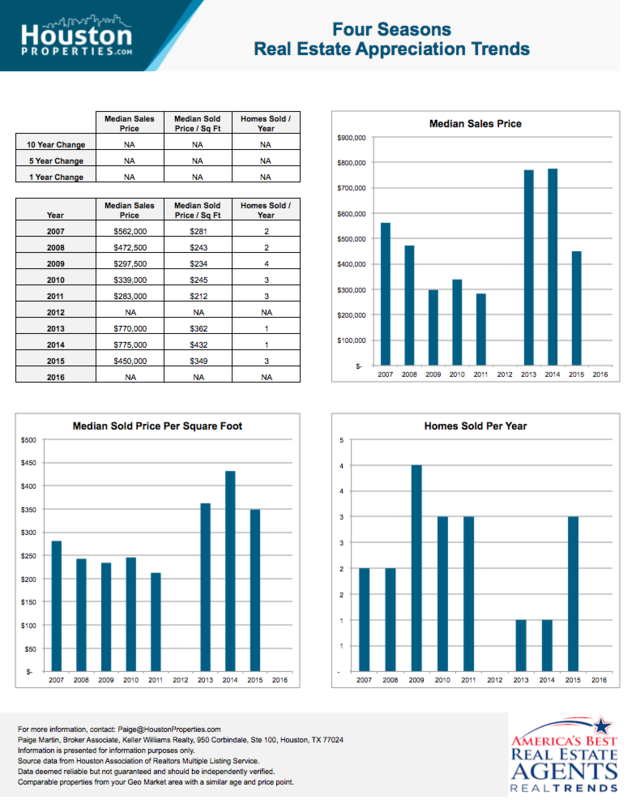 A Four Seasons Residence condo buyer would benefit from a good realtor’s advise specially on how the building and unit compares to other condos in the area. To get personal advice on buying or selling a Four Seasons Residences unit, contact Paige Martin, one of Houston’s best condo realtors and one of the top ranked Realtors in the United States. 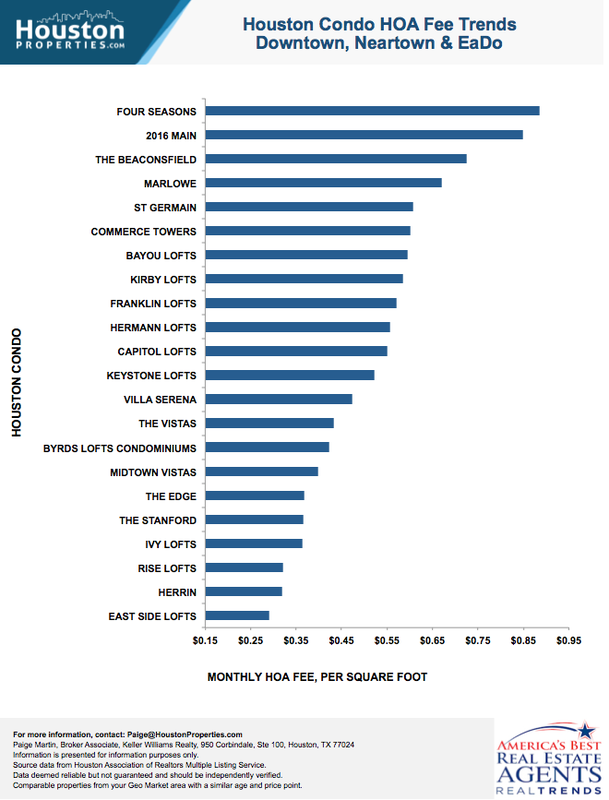 there are many comparable newer residential highrises within The Loop. Enter your email to get this free Four Seasons Residences guide in easy-to-read PDF format. Bonus: Also see how Four Seasons compares with Houston's most popular buildings. I am interested in Four Seasons and would like to get more details. Residents enjoy hotel-like living and conveniences with Four Seasons Residences personal round the clock services and state-of-the-art building amenities. These include valet, concierge, housekeeping, business center, outdoor pool, fitness centers and spa. Additional hotel amenities like car transport and in-room dining are also available. Because of the building’s age and a number of luxury amenities, Four Seasons Residences has the highest monthly HOA fee in the Downtown area. Four Seasons Residences features a collection of luxury condos with full-service hotel amenities and great Downtown location. Four Seasons Residences is located on the 21st to 25th floor of the prestigious Four Seasons Hotel. Four Seasons Residences features 64 residential condos. The building sits at 1111 Caroline Street within Downtown, Houston’s Central Business Center. Four Season Residences’ central Downtown location provides residents working Downtown an easy and short commute. Theater District is located few blocks away from Four Seasons Residences. The district features nine renowned performing arts organizations in four venues: Jones Hall, Wortham Theater Center, Alley Theatre and Hobby Center for the Performing Arts. Residents are also minutes away from Museum District, home to 19 cultural centers and museums that promote history, culture, art and science. Located just across the street from the Four Seasons building, the 12-acre Discovery Green features a multi-use amphitheatre and interactive water fountain. Green Street, just 2 blocks away, is a mixed-use development that features retail, dining and entertainment venues. Popular sports venues Minute Maid Park Stadium and Toyota Center are 0.6 and 0.3 mile away from Four Seasons building, respectively. The nearest MetroRail stop from Four Seasons Residences is Main Street station, located 3 blocks from the building. Residents have 24/7 access to Four Seasons hotel’s ull line of of luxury hotel services and amenities. 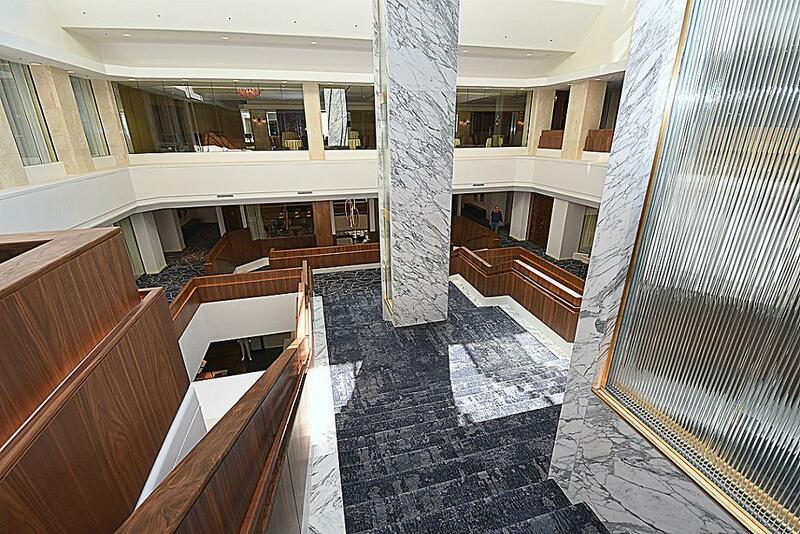 These include round-the-clock services like concierge, valet, door staff, business center and in-room dining. Daily housekeeping, same-day laundry services, and complimentary house car transport services are also available. 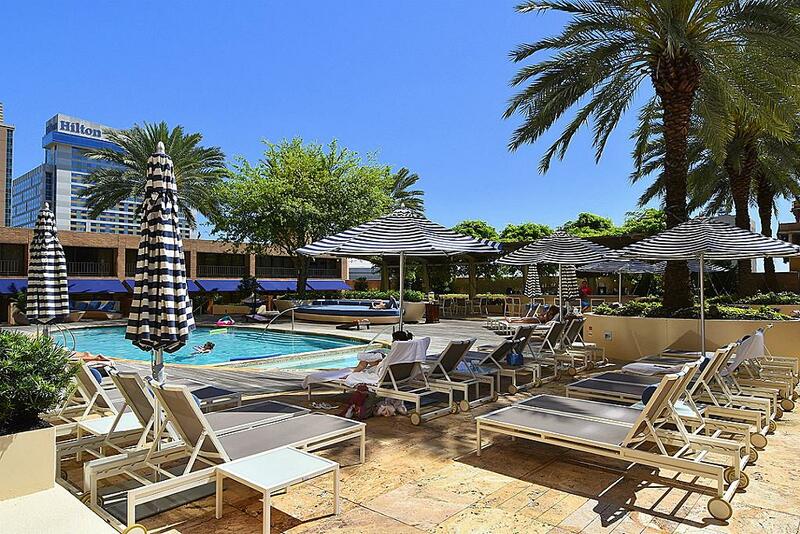 Residents also enjoy state-of-the-art building amenities like fitness center, wellness spa with luxury nail salon, and resort-style outdoor pool and whirlpool. Each Four Seasons Residences units are generously spaced with elegant interior designs, modern furnishings, and and top-of-the-line appliances. The residences have a separate entrance from the hotel, a private lobby, a front desk, and elevator service. The units also feature travertine tile floors, custom-made furniture, plasma televisions, stainless steel appliances, and opulent marble vanities. The management allows 2 pets up to 20 lbs in weight. Owners are just a block away from Discovery Green’s fabulous dog run. Four Seasons Residences also offers pet amenities like a bed, biscuit, special bowl and chew toys. 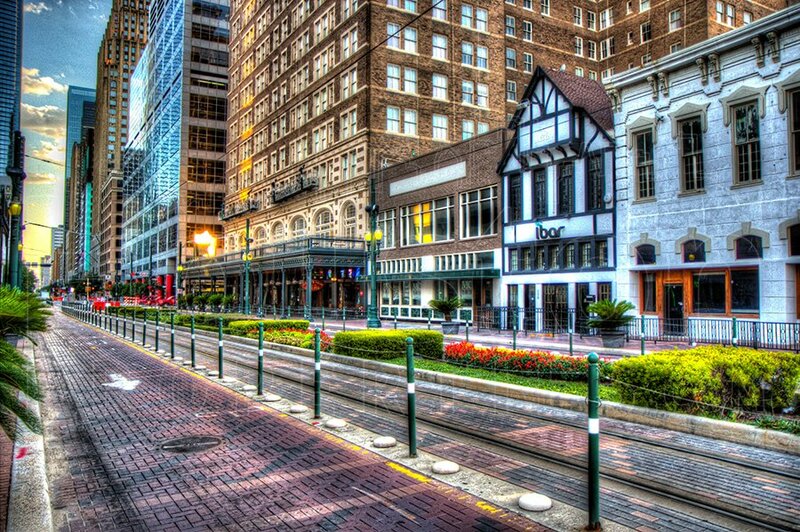 Downtown is among the most accessible neighborhoods in Houston. Key Houston districts like the Museum District and Medical Center are highly accessible via the METRORail, the bus system, Houston B-Cycle, and Greenlink. 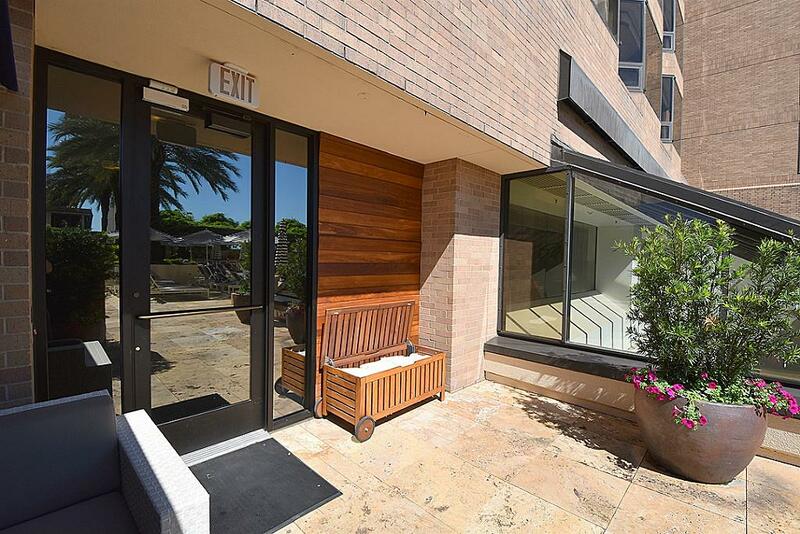 Four Season Residences is located blocks away from the nearest Metrorail stop (Main Street Station), providing residents easy access to Houston’s key districts. Green Link Bus is a free transportation service within Downtown. The 2.5-mile bus route has 18 stops that connects eight hotels, the George R. Brown Convention Center, the Central Library, Green Street, Discovery Green, City Hall, Main Street Square and Houston Pavilions. Downtown is not only known as Houston’s Central Business District but also one of the city’s popular culture and entertainment centers. 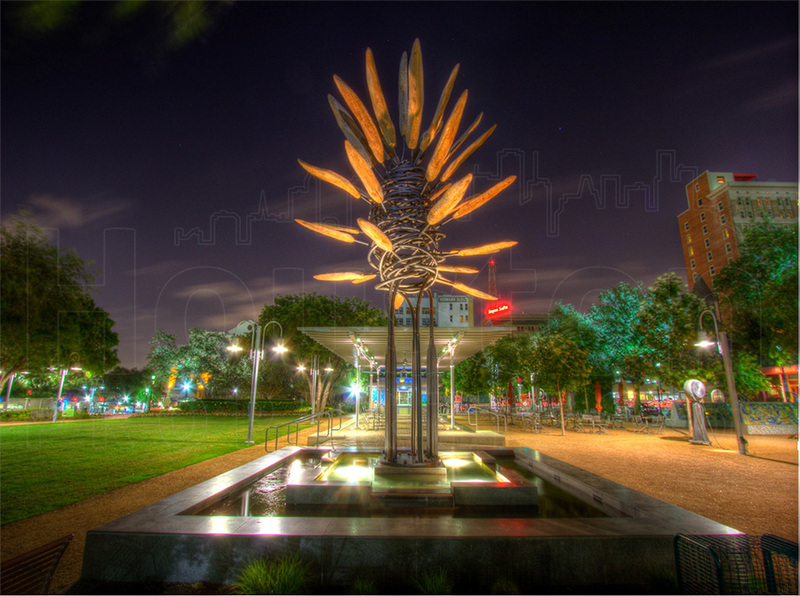 Downtown houses several sports and entertainment venues like Minute Maid Park, Toyota Center and Discovery Green. Theatre and Historic Districts also feature a collection of exciting retail and entertainment establishments like Market Square Park and Bayou Place. The Four Seasons Residences are located at 1111 Caroline Street, just above the Four Seasons Hotel in Downtown. 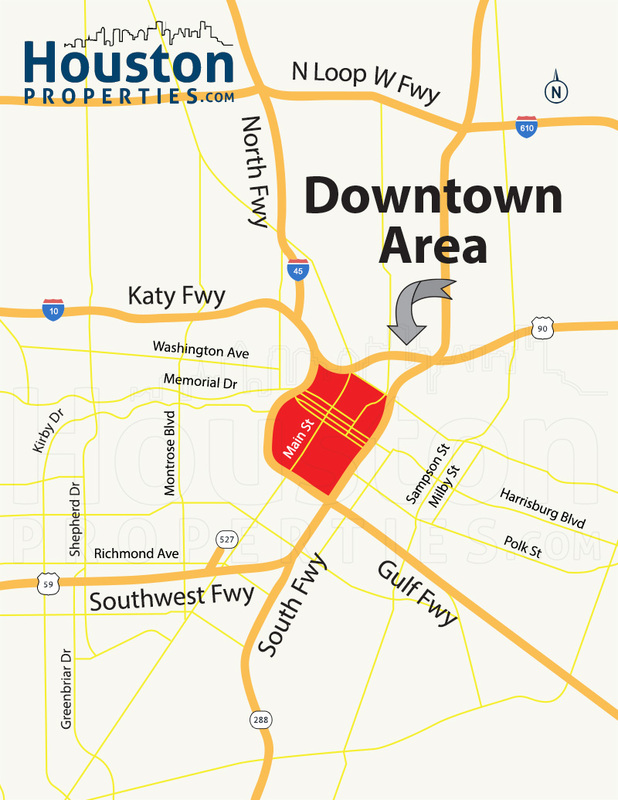 Downtown is bordered by I-10 to the north, I-69 to the east, and I-45 to the south and west. The Downtown is divided into several smaller districts, including the Theater District, Skyline District, and the Historic District, among others. Four Seasons Residences is less than a mile away from Theater District and Historic District. Thanks to Downtown’s central location, Houston’s key districts are few minutes away from Four Seasons Residences. Located about 3 miles southwest of the building, Museum District is home to 19 cultural centers and museums that promote history, culture, art and science. 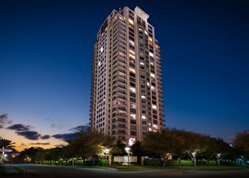 Texas Medical Center is located 4.5 miles away from Four Seasons Residences while Galleria area is about 8.5 miles away. Four Seasons Residences is located within Downtown. Downtown is zoned to the Houston Independent School District (HISD). Gregory-Lincoln Education Center at 1101 Taft St. GLEC serves students from Kindergarten to 8th grade. 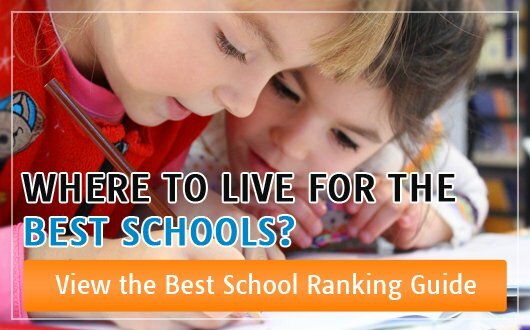 The school features a fine arts magnet program and offers classes in the theatre arts, culinary arts, dance, visual arts, multimedia arts, and vocal music. Davis High School at 1101 Quitman St. Jefferson Davis High School features a Hotel and Restaurant Management magnet program. Paige Martin is one of the most experienced and knowledge condo Realtors in Houston, and has a lot of experience helping people buy and sell at Four Seasons Residences.